As far as I know, the movies usually have more detailed character designs than a TV series does. Just wait and see if a miracle happens. It really does boil down to preference but for me S1- S2 is far superior to to S3 as far as style is concerned. S3 looks good at its beat but it was very generic while Season 1-2 was different and brought a refined style over to a franchise that needed something to differentiate if from the Plethora of Pretty Cure shows.. I mean sure, the transformations were weird but put S1 (hand drawn) and S3 intros side by side of the Inners and S3 looks flat (although still decent) and washed out compared to it. Remember, when Crystal was coming out, it had a strong fashion line and was more marketed towards older women into cosmetics and what not. The Senshi in S1 and S2 are straight up models and it's how Naoko portrayed them . However, in S3, they have a nice look but you can tell that it was dumbed to the 90s with a more polished look because that is what folks wanted anyway. The 90s anime designs with the mangas storyline. If only the more skilled animators had time to work on S1 and S2 for all epsidoes. I hope all this time going by is used to enhance this dream movie. they're much more appealing and proportionate than Yukie Sato's hideous designs which look awful even as still images. Thank you for the laughs, Sailor Starlight! I hate S3’s art style with a passion hotter than Burning Mandala. S1&2 would border on movie quality at times; S3’s looks cheap as dirt (I mean come on, the entire season is outsourced to the studio behind the very mistakes that everyone complained about in S1&2). I remember when Episode 1 aired, I kept checking my TV to see if it actually was streaming at 1080p...it looks worse than some 90s shows at 720, not to mention that the cutesie PreCure style REALLY doesn’t suit how dark the Inifity arc is. Also hate that they caved and brought back stock footage. If I want the original, I’ll watch the original. The monster design looked awful too. Dream is even darker than Infinity, and I reallly hope they choose a different style for the upcoming films. Ideally, I’d like to see either S1&2, or the style from the Moon Pride music video again. Only thing S3 did right was going back to 2D transformations. Is literally plain uglier tho. Honestly both Sakou and Takahashi aren't terribly good character designers for different reasons. The sad part is that Crystal has had quite a few talented animators working on it that could have probably done a better job than the both of them. Especially considering that character designers normally double as chief animation directors. Like why didn't they hire someone like Keiko Iwata as CD for Season 3? It'd be like if the '90s chose Masahiro Ando to do character designs over Ikuko Ito. I didn't like Sakou that much either! Takahashi is OK. Yes to Keiko Iwata! Why didn't they let Keiko Iwata fix Sakou's design??? It bet that if she had to simplify Sakou's design, the result would have been better than Akira's. Like the eyes and Usagi's odango? I'm talking about the body. The eyes are OK to me. The only thing I missed from Sako's style was the highlights on the hair and clothes, and the way the skirts were drawn. 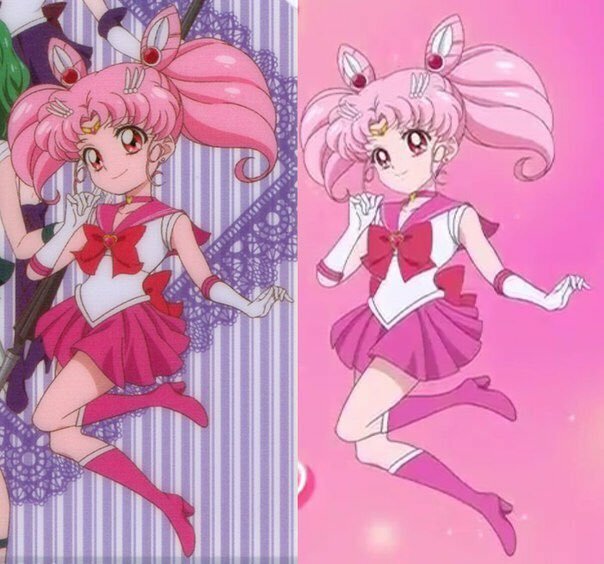 Meanwhile the S3 style seems to have been fixed up for the most part judging from the new images (eyes have the iconic SM "white pupils," the noses are a bit smaller and more pointed, the skirts are simplified but no longer shaped like doritos, and Chibiusa's head has been shrunk down a bit.) It would never happen, but I wouldn't mind seeing seasons 1-3 redone in that style sometime down the line. Still, I'll never forgive Toei for not begging Ikuko Itoh to do the designs in the first place. Her art by the end of SuperS was the highlight of the franchise's look in my opinion. 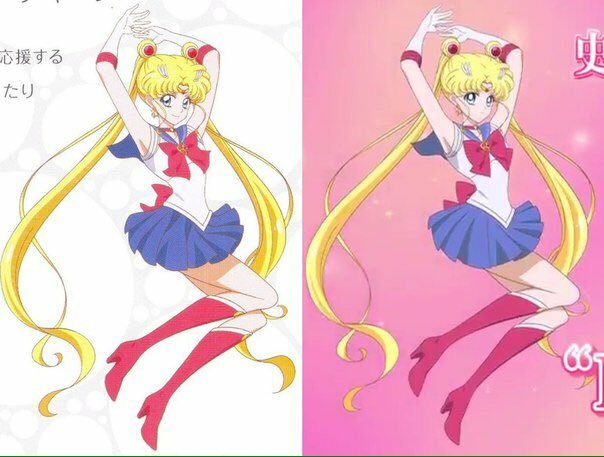 I honestly think that PreCure Moon is better in that regard, even if it does call back to some of the old anime's style with the skirts and such. is this the one that you were talking about? I prefer Season 1 and Season 2 art style. Season 3 would have been nice as well, but the bubbles in the hair and the mouths ruined the style. I liked it. Thought it was a noticeable improvement from the previous arcs. That being said, the animation wasn't anything that was particularly awe-inspiring. It was just a little less offensive to look at. I kinda liked season 3 art style. I liked all of the art styles. 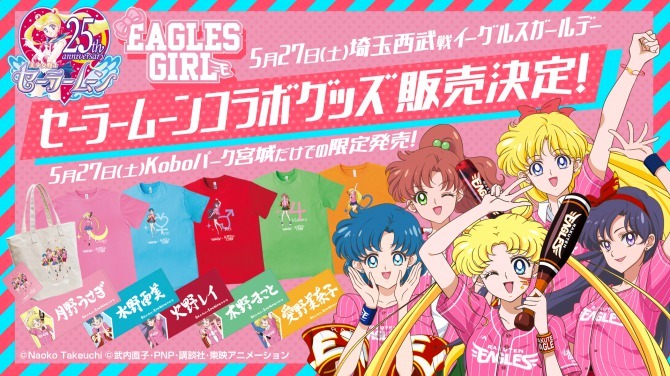 Sailor Uranus/Haruka, Sailor Jupiter/Makoto's and Neo Queen Serenity's hair color. Seriously? Should've left NQS hair silver like how it was in the previous season and I adored auburn/cinnamon hair color for Jupiter! And isn't Uranus supposed to be a platinum blonde? Mamoru's hair chop as as well as Uranus/Haruka's. WTF I do not like that look at all! I was hoping for a brand new rendition of SM's attacks...Jupiter Coconut Cyclone and Venus Wink Chain Sword looked pretty good though. and I'm sure I have more but that's most of them.